The MotorLand Aragon circuit, in Spain, provided the venue for the third round of the Motul FIM Superbike World Championship, with MV Agusta Reparto Corse team consolidating the 3rd position in WorldSSP Championship Standing thanks Jules Cluzel’s 4th place. In WorldSBK Leon Camier had not taken part to the morning Warm Up but when the race time has come he was ready in starting grid. Started from the 7th place on grid, the talented British rider did his best to fight within the top 10 of the race but he was slowed down by a technical problem. Camier ended up his is race in 16th position, really close to the score point position. 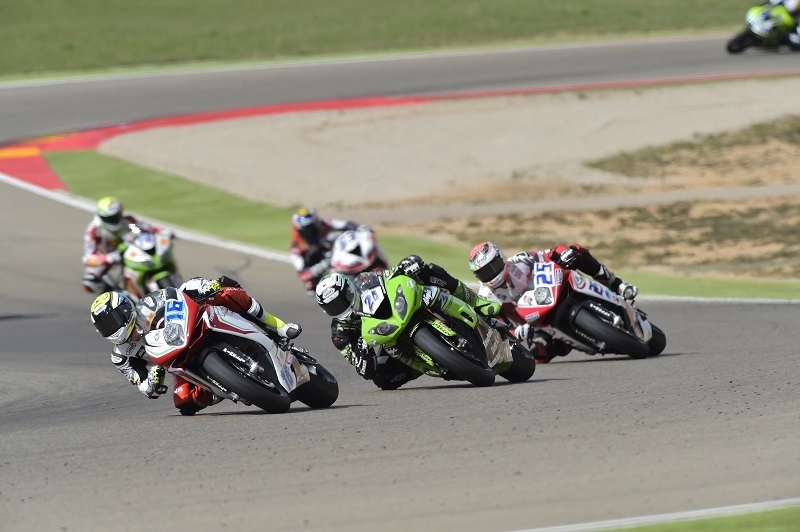 After the good qualifying sessions Jules Cluzel and Lorenzo Zanetti had to deal with a difficult WorldSSP race. The French rider fought for the whole race with the top 3 riders and he ended up 4th, consolidating the 3rd position in Championship Standing. Cluzel’s teammate Lorenzo Zanetti started the race 6th on grid and he immediately pushed hard to close the gap with the front riders but he was forced to pull off the race because of a technical problem to his machine after only two laps. Leon Camier #2 – I am a bit sad for this result because during the qualifying session I have always been in top 10. With my team we are working on the data we acquired here in Aragon and I will try to improve my score the next race in Assen. Jules Cluzel #16 – It has been a difficult race but I expected it. I tried to do my best for race and get the podium but I really missed a lot of grip and now we have to figure out the reason why. Anyway I am quite happy since we got some good points for the championship standing. Lorenzo Zanetti #87 – We have been on top positions for all the weekend. I pushed hard in race and I got the fast lap but I suffered a technical problem and I had to pull out. Now I want to stay focused on my goals, trying to get as many podium as I can.